Integrated sunrooms blend perfectly with your home's architecture for a custom look. 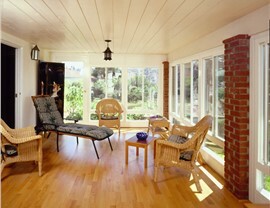 Some people are leery about adding a sunroom because they worry it will disrupt the look of their home. If that's the case for you, the team at C-Thru Sunrooms has a solution! 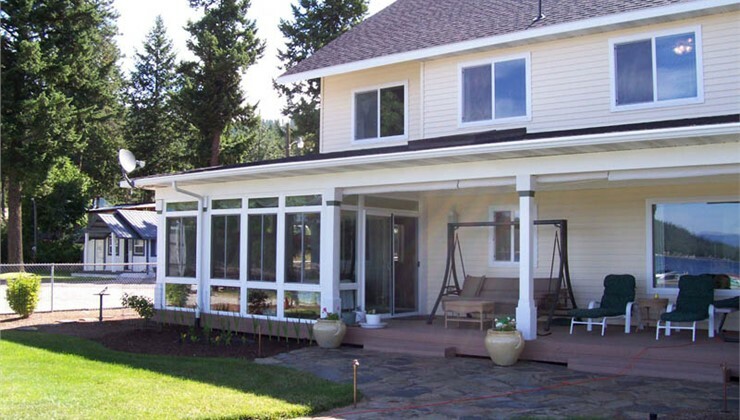 Integrated sunrooms are a perfect choice for homeowners who aren’t willing to risk compromising their home’s architectural style. 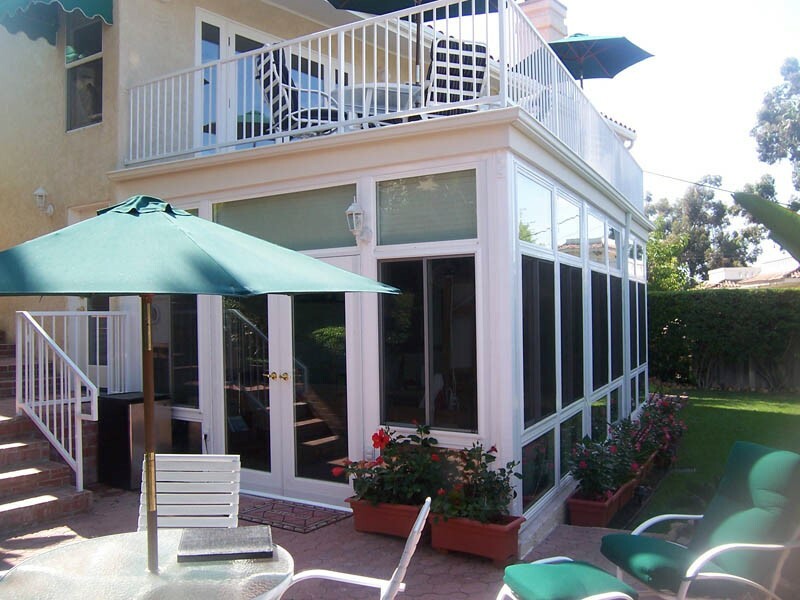 Our selection of beautiful sunrooms makes it easy for us to create a stylish spot from which you can enjoy your outdoor space, no matter the weather. Since 1947, we’ve provided top-rated products and expert installation to hundreds of thousands of customers. On every job, our goal is 100% customer satisfaction, and we’re willing to go the extra mile to ensure we exceed all expectations for value, quality, and beautiful curb appeal. 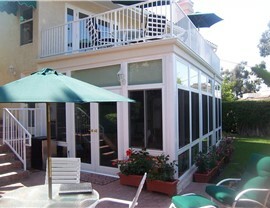 Our sunrooms are made using modularized construction, we can complete the installation fast—usually in just two days. Three different types of wall systems allow us to offer a room for every budget. Our certified installers have the training and expertise to complete a flawless installation. Energy-efficient features, like our exclusive SmartGlass™ and WeatherGuard™, help keep energy bills low. We stand behind our products with a lifetime, transferable warranty that includes lifetime glass-breakage protection. 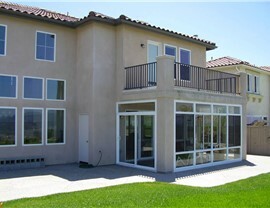 For a gorgeous integrated sunroom loaded with high-performance features, C-Thru Sunrooms is the trusted choice! 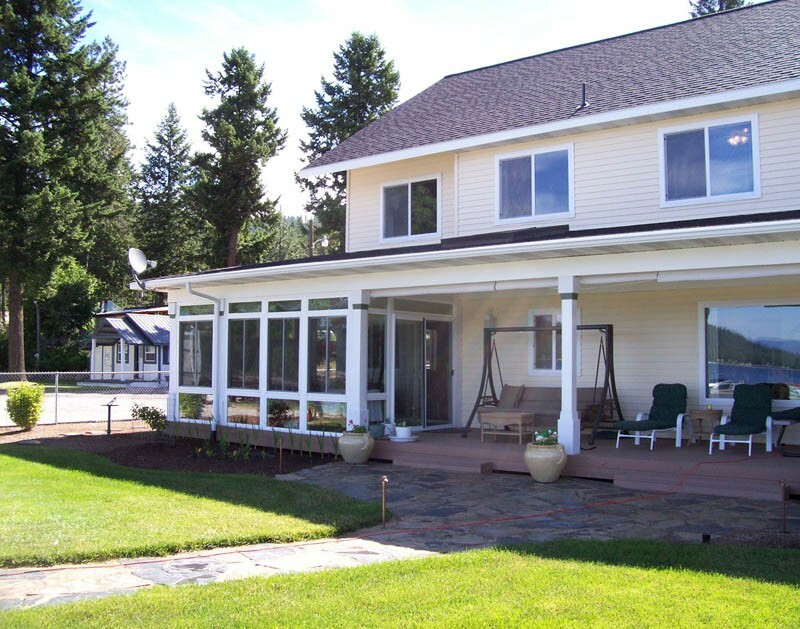 Contact us today to see for yourself why C-Thru Sunrooms has been a top choice for quality sunrooms for more than 70 years! 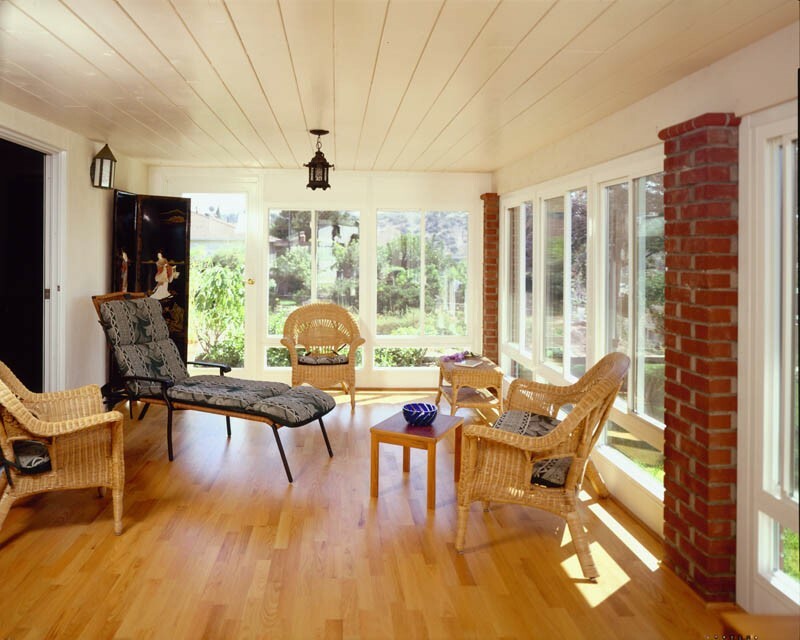 Once you work with us, you’ll see why we offer the leading sunroom installation across the country. Just call us today, or fill out our easy, online form now to request your free design consultation and estimate. See C-Thru products in person and have all your questions answered. We start with our expertly crafted, custom designs. Get inspiration from completed projects around the continent. What customers say about our innovative products. Industry's best fully transferable lifetime warranty.